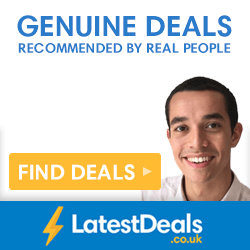 We have created the largest database of freebie offers in the UK. There are over 600 genuine freebie offers listed on our website. 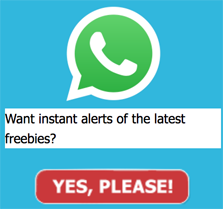 We add 5-6 new freebies everyday. There are 1000’s of companies in the UK giving away FREE samples of their products on the internet. It’s a marketing strategy to get exposure and attract interest. We found that 60% of people who try a product are more likely to purchase the same product in the future. We have over 600 genuine freebie offers across our site from these companies and more.. Here is a selection of companies who have worked with us in the past.. L’Oreal, Garnier, Dove, Nives, Colgate, Pampers, Huggies, Gucci, Lacoste, Rimmel, Nestle, Kelloggs,Gillette, Wilkinson, Tesco, Sainsbury, Asda and more! 1) Browse through our website to find some freebies that you like. Now click the ‘Get Freebie’ button. 2) You’ll be redirected to the companies website. All you do is fill in your name and address to apply for the freebie. 3) Sit back and wait for the freebie to arrive through the door. Delivery can take up to 28 days. Please be patient! Sometimes these companies can get thousands of requests in a few weeks. These companies give out loads of free stuff. Everything from free baby stuff to free makeup samples. We have so many offers listed on our website that we believe there’s something for everyone. Make sure you pop back tomorrow and see what new offers are released. Take a look at the freebies we received in the last few months on our Freebie Photos page. See our Video Testimonials page to see what our visitors say. Join our Email newsletter to get daily updates of new freebies.